Star Clippers, world’s famous tall ship cruises brand signs cellular service agreement with Skybridge SAS. 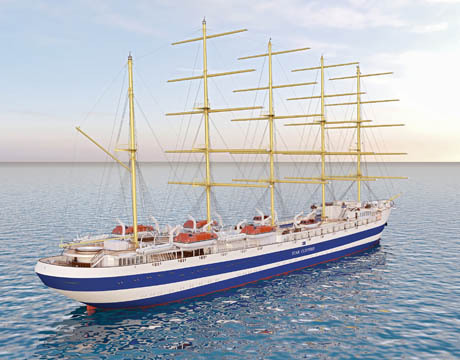 Star Clippers, one of the most famous tall ship cruise companies in the world has elected Skybridge SAS as its maritime GSM services provider for its new vessel. Skybridge already offer its services to the entire Star Clippers fleet. Ship owner, crew and passengers have so far enjoyed our outstanding service quality. The new vessel, yet to be named, will be the biggest and most ambitious project to date and will be launched in the second half of 2017, carrying 300 passengers, measuring 8,770 tons and powered by more than 6,350 square meters of sails. « Being awarded this contract is a milestone for our company and demonstrates the high quality and reliability of our service » commented Constantin Simeonidis, Skybridge’s President & CEO.